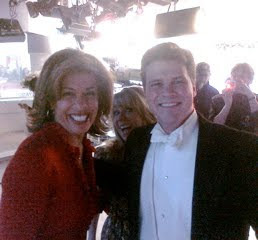 Kathy Lee and Hoda were, well, totally wild today, a little scary, but Matt kept up with them. Adam feels close to Hoda because they're both from Oklahoma and last year she told him he was cute.... They also announced that their Christmas starts with us; a very nice thing to hear - twice! Kathy Lee says goodbye to us.